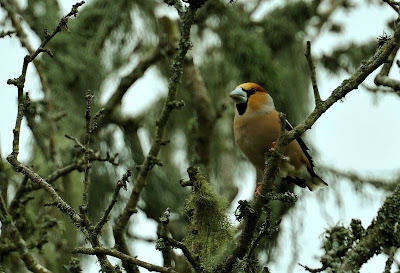 A Hawfinch has been wintering in the Upper Fowey Valley since at least December 2008, but today two were seen flying around the valley together. 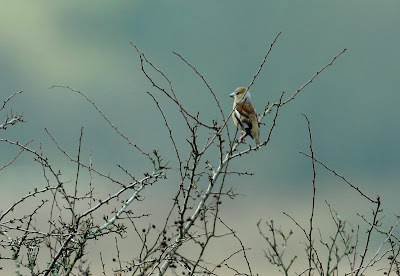 I managed to clinch a record shot of the more illusive female. The brighter and more contrasty male flew in calling and landed about 50 yards away for no more than a minute. The images have been cropped by 50% and the saturation tool also used to dull down the bright sky light in the background. 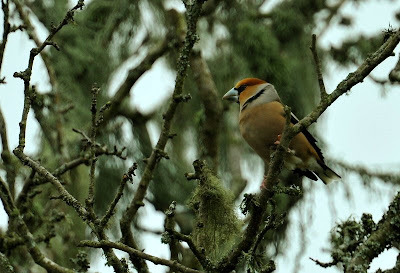 Unbelieveably this is my first record of Hawfinch in (mainland) Cornwall having missed several in the past (including ironically a pair at St Clements last winter). EXIF Data: Exposure: +0.3, White Balance: Cloudy, Focal Length: 850mm, ISO 400, Ap. F/5.6. Image taken in Aperture Priority.